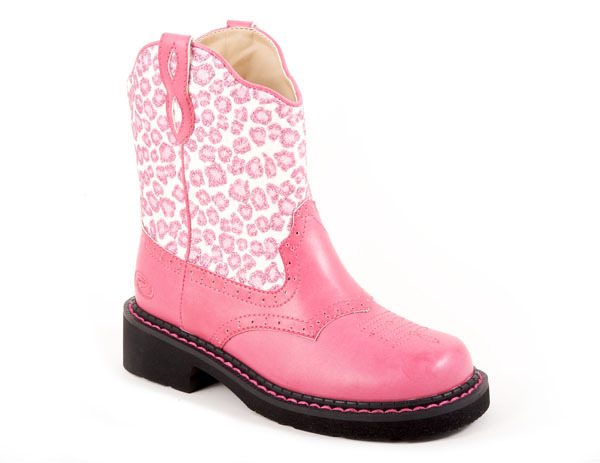 Check out our styles of cowboy boots for the little cowpoke in your life. 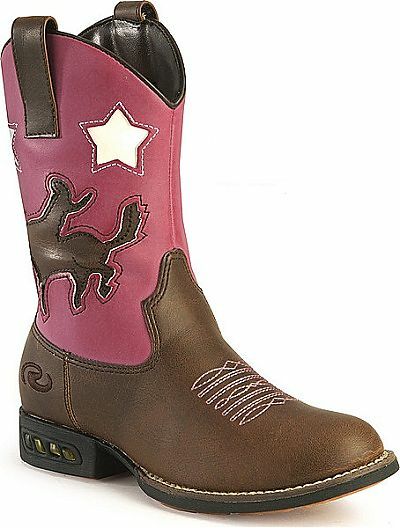 Your little cowboy or cowgirl will be the talk of any western hoe-down. Great styling available here from the basic boot to the glitzy light up styles. 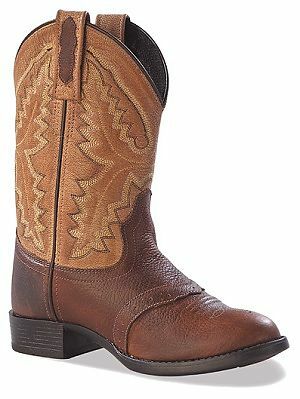 Boys boot styles are made to look rough and tough from looking plain to the look of snakeskin just like daddy's boots. 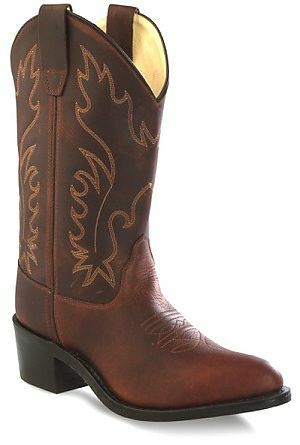 No matter the style your cowboy will be sporting around he will be ready for the rodeo. 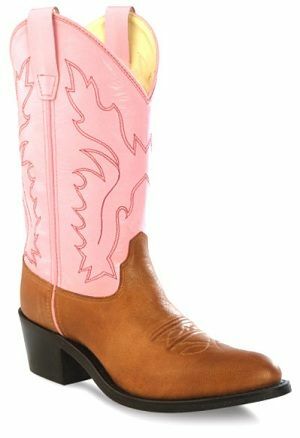 Whether he is wearing them to dress up or an evening out, you will be proud to see your little cowpoke dressed in his boots. 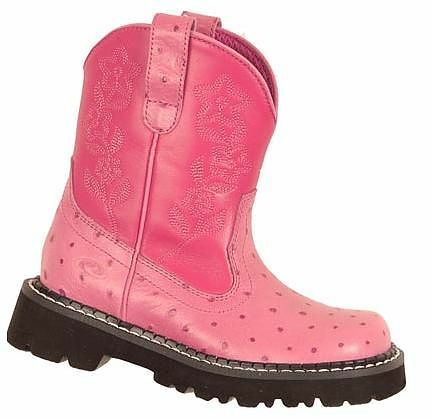 For your little girl she will always be styling in the most fashionable boots available from the most popular fringe or the Texas star. 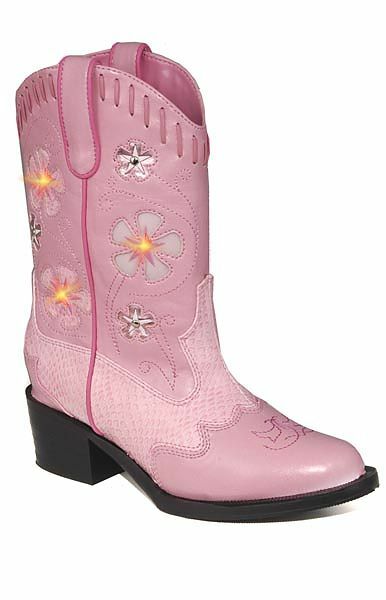 For every princess cowgirl, there is a great selection of pink boots. 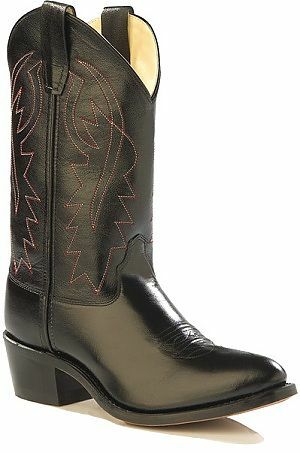 Our children's cowboy boots are available in infant, toddler, children, and youth sizes.